At Buena Vista Arbor Care Company we take great pride in the work we do for the Golf Courses and Country Clubs in our areas. We take the time to discuss future plans with each superintendent of the course. Whether your course is on the beautiful Oregon Coast or in a more dry area like the breathtaking Bend, Oregon we understand each course has its own budget and innate problems such as disease and insects. Trees Play An Important Role On Golf Courses, And Their Care And Management Should Be Planned Carefully. TREES are very important parts of most golf courses. Many golfers will protect trees with a zeal matched only by their love for the game itself. This blind affection for trees can result in poor judgement or misguided priorities in tree planting and maintenance programs. Proper planning and maintenance often become secondary as the emphasis is placed on planting more and more trees. This philosophy often leads to hasty decisions with new plantings, resulting in poorly positioned trees that consist of species that may not be well suited for the golf course or the particular planting site. This can create immediate maintenance headaches with the trees and will likely lead to future agronomic problems with the turf. The lack of a good preventative maintenance program also is apparent at such golf courses, as many of the existing trees have structural problems or poor growth form and appearance. Golf courses with good reputations for their tree plantings realized long ago the value of a comprehensive program to care for existing trees and properly plan for new tree plantings when and where they become necessary. Those efforts have paid off handsomely with balanced age classes of healthy, well-formed tree species and a minimum of tree-related agronomic problems. This article will examine strategies that can be used to develop the foundation for a good tree maintenance program, and examine specific pruning practices that can be used to maintain healthier, more attractive trees and help rectify agronomic problems. Program Organization There are several ways to develop a tree care program. Golf courses that choose to complete the majority of work with their own staff will employ a full-time arborist or tree specialist who has both the knowledge and experience to help develop and complete the practices. The extent of the work completed will vary depending on experience, available equipment, and the amount of liability the golf course is willing to assume. In many instances the arborist/tree specialist will complete smaller scale pruning, tree removal, and pest management work, and have the larger spray operations, climbing/bucket work, and major tree removals completed by outside contractors. A large number of colleges and universities offer degree programs in forest and shade tree management and arboriculture. Graduates from such programs would be well suited for the position. Students might also be available for summer placement jobs on the golf course and eventually work into a full-time position as they gain experience. The position requires overall knowledge of trees and their specific requirements, including pruning, fertility, irrigation, and pest management needs. Tree pruning and removal skills are a must, as is the ability to properly identify and evaluate hazardous trees. This is not to say that a good tree maintenance program cannot be developed without first hiring an experienced arborist. The golf course superintendent may have the necessary background to develop and oversee a relatively good program if he is fortunate enough to possess the skills mentioned above and have the necessary time. An even larger amount of the work would probably be completed by outside contractors with a program organized in this way. Tree Inventory A tree inventory is beneficial for any level of tree maintenance completed on the golf course. You have to know the tree species, its specific requirements, and the life expectancy in order to plan and prioritize pruning work and other maintenance and planting programs. This information is critical even if the primary maintenance work is completed by outside contractors. The inventory should identify tree species, map their locations, estimate approximate age class and tree condition, provide site characteristics, and any other pertinent notes. The tree’s estimated intrinsic and monetary values might also be included in the inventory. Computer software, such as the Trims Tree Management Program, can be helpful in producing the inventory. Identifying the various tree species may be the most intimidating hurdle in completing the inventory. The services of an arborist or employee with training in tree identification are definitely recommended, especially if a superintendent’s dendrology skills have faded. The inventory might serve as a good project for a summer placement student with knowledge in tree identification. There are also many good books and keys available to aid in the identification process. University specialists, extension agents, or local nursery personnel can also provide assistance if the challenge is too great. Estimating monetary values is more complex and should be left to an experienced arborist. determine where tree pruning work, individual tree removals, stand thinning, and new tree plantings may be required. 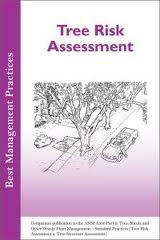 Fertility, pest management, and other maintenance programs should be developed based on the results of the evaluation. Information from the evaluation and tree inventory, together with input from the superintendent, golf professional, and green committee members should be used to target sites where trees affect turf quality or negatively influence play. Pruning Techniques Pruning work is a primary part of tree maintenance programs. Unfortunately, the work is not fully utilized in many golf course tree care programs. 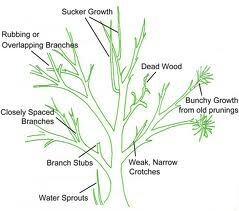 Pruning is used to enhance or modify a tree’s natural growth form. Remedial pruning is completed regularly to remove diseased, damaged, poorly attached, or crowded branches to improve a tree’s structure and appearance. Tree size can be maintained to a certain extent with pruning. Pruning is also used to help train young trees. Pruning can stimulate flowering in ornamental trees and vigor in stressed or stagnated trees. Selective pruning is frequently completed on golf courses to increase light penetration and air flow to the tree and surrounding areas. Tree canopies are also raised from the ground to gain more air movement and access below the tree. Finally, root pruning is used to remove girdling roots from the base of tree trunks and where tree roots are aggressively competing with the turf. The impact of the pruning work on the tree can be minimized by properly positioning and completing the cut. The old standard flush cut is no longer recommended except for adventitious water sprouts or sucker branches. Branches should instead be cut along the outside edge of branch bark ridge (shoulder rings) and collar to minimize the wound’s size and allow the tree to callus over the cut more quickly. There are several techniques followed to make a proper cut, depending on branch size. Smaller branches are often cut with hand shears or hand saws, while large hand saws or chain saws are used for larger cuts. Larger branches require a series of cuts to prevent the bark and wood from tearing and splitting back into the tree. The first cut is made on the lower side of the branch, usually 1 to 2 feet from the crotch. The cut is made upward about a quarter of the diameter or until the saw begins to bind. The second cut is completed on top of the branch and placed outside the first cut by 1 or 2 inches. The second cut allows the branch to break cleanly off the tree. The final cut is then made at the crotch, as recommended above. Heavier branch stubs may need to be undercut and/or supported during the final cut to avoid tearing the bark. Applying wound dressing is no longer recommended. The dressings may actually delay the process by which the tree recovers from the wound. Paints are sometimes used to mask or improve a wound’s appearance, but those too will have no other beneficial effects. Trees naturally isolate the wounds by developing a chemical barrier in a process termed compartmentalization. The barrier prevents most decay fungi and bacteria from entering surrounding wood as the tree produces callus tissue which in time will cover over the wound. The timing of the pruning operations depends on the purpose of the pruning work, the type of tree, and its condition. Minor or light pruning work can be completed at any time of the year. Dead, diseased, weak, or heavily shaded branches can also be removed at any time with little negative effect on the tree. Plant development will be affected least if the pruning work is completed prior to the period of most rapid growth. The majority of deciduous trees can therefore be pruned during, winter dormancy and until spring growth resumes to correct structural problems. Evergreen trees should be pruned just prior to spring growth to minimize the chance of cold temperature injury around the wounds. Trees such as maples, birch, and elm can bleed heavily if pruned in early spring. The bleeding can be minimized if pruning is completed in very late fall, early winter, or mid-spring. Heavy bleeding can create unsightly stains and delay the onset of callus tissue formation. Reducing the tree’s growth rate and size is accomplished most effectively if pruning work is completed after the season’s growth flush has occurred. Pruning work should be scheduled in spring to midsummer for this purpose. Keep this in mind when thinning tree canopies to gain additional light and air flow. Late summer and fall pruning work is least favorable, as larger wounds recover more slowly and are more susceptible to the decay fungi that sporulate in fall. Callusing is most rapid if pruning work is completed prior to or soon after tree growth resumes in spring. Use even more care when completing pruning cuts during and immediately following the rapid spring growth period, as the bark is particularly tender and is easily torn. Pruning Young Trees Nursery stock should have relatively good growth form. Do not accept planting material if the structural branches are not uniformly spaced, are too close together, or are poorly attached. However, even good quality nursery stock will likely require some pruning work as the trees mature to maintain good structure and branching. Pruning should be minimal at the time the tree is planted. Broken or damaged branches can be removed, as can adventitious shoots. It is best to complete major pruning work during the tree’s early establishment period, as pruning wounds are smaller and the work easier to complete. Large-scale corrective pruning should be spread over several years to avoid excessive stress on younger trees. Training very young trees is a complex matter requiring knowledge of the tree’s growth form and function on the golf course. Young trees should be inspected for uniformly spaced vertical and radial branching and sound branch attachments along the main leader. Remember, these young branches serve as the main scaffold branches as the tree matures. Larger growing trees should have wider spaced main or scaffold branching along the trunk for optimum strength, while smaller growing trees should have more closely spaced branching. The lateral branches should not be larger than the trunk or main leader, as they compete for dominance and result in a weak attachment. Horizontal branching and wider angle branch attachments usually result in stronger connections, which are more desirable. Pruning Mature Trees Corrective pruning measures required for mature plantings generally are more severe and costly to complete, especially if the trees received little care in the past. Inspect the tree canopy and specifically look at scaffold or main branching to make sure the tree’s canopy is well formed and in balance. Poor quality branches, or those that are diseased, dead, or interfering with each other should be removed. This process is often referred to as dead wooding. Tree canopies that create excessive shade, block air movement, affect play, or crowd each other can be addressed through crown reduction or crown thinning. Raising the crown is the term used for pruning work completed to raise the tree canopy off the ground to increase light penetration and air movement. Dead wooding is especially important for older trees that contain hazardous branching or decayed wood. Such wood should be removed, along with any vines or foreign material. This type of pruning is often completed prior to initiating crown thinning or reduction work. Removing the weaker branches and dead wood makes it easier to determine the additional pruning work required. Dead wooding also is an excellent tool used to manage certain pests. However, diseases such as fire blight and other canker-forming disorders can be spread through pruning wounds, making it necessary to disinfect pruning tools following each cut. Crown thinning is completed to highlight a tree’s branching and to increase light penetration and air movement through the canopy. Trees with overly dense canopies benefit from opening the canopy. The additional light promotes stronger growth of the remaining branches, encourages lateral branch development, and increases branch tapering to make the tree less susceptible to storm damage. Wind resistance can also be reduced by selective thinning work. Crown thinning can result in the removal of a third or more of the tree’s canopy, which should not affect vigorous deciduous trees. However, beech, birch, hornbeam, eucalyptus, walnut, and most conifer trees are less tolerant of severe pruning and therefore should have less of the canopy removed at any one time. Crown reduction is also a relatively common procedure used to keep trees within size requirements. This type of pruning is often used to overcome earlier mistakes in planting judgement. Tree size can be controlled most effectively if pruning is initiated before the tree reaches the desired size. Pruning cuts will be smaller and the tree’s appearance less affected. Trees that require frequent crown reduction work probably should be replaced, as their natural appearance will be altered. Crown reduction also can be an effective means to address overcrowded tree stands. The canopies of the smaller and less desirable trees should be severely pruned, allowing the surrounding trees to develop properly The pruned trees eventually will be removed as the preferred trees develop. Thinning-out, heading, and pollarding are pruning techniques used in crown reduction. Thinning-out is the preferred technique when the tree’s natural growth form is to be maintained. It involves pruning branches back to lower laterals (drop-crotching) that are at least a third the diameter of the branch being removed. Heading is used to drastically reduce canopy size. It involves pruning the main branches back to stubs. This form of pruning can leave very large wounds that may never callus, thus providing sites for decay. It also results in very dense, upright, and vigorous branching immediately below the cut. The resulting branching is unnatural in appearance, poorly attached, and generally not safe. It is not a recommended technique for most situations. Pollarding is a type of heading operation used in more formal landscape situations to keep larger growing trees under size control. This technique is rarely used on golf courses. Raising the crown is often completed on conifer trees whose lower branch whorls affect maintenance or play, or block sun and air flow. This is completed by removing lower branches completely or pruning them back to the next largest, up-right lateral branch to reduce weight. Similar work is completed on deciduous trees during the growing season when the branches are in full leaf. This operation is often objectionable to many people, who dislike the unnatural appearance it can create. It is possible to raise the canopy height and still maintain a somewhat natural appearance if the work is done carefully and extended over several seasons. Root pruning is another common practice on golf courses where tree root competition reduces turf quality. Individual tree roots may also have to be pruned manually if they begin to girdle the tree. Tree roots are severed at a 12- to 20-inch depth using a power trencher, vibratory plow, backhoe, or root cutting saw. Standard recommendations are to provide 1 foot of distance between the pruning trench and tree per inch of tree diameter at chest height. Recent studies indicate, however, that pruning along one side of moderately sized, healthy trees can be completed at distances of 3 feet and closer without seriously affecting the tree’s growth rate or survival as long as the remaining root system is intact and unrestricted. Larger and slower growing trees might show more severe effects from such close pruning. The study also demonstrated that the negative effects of severe single- and multiple-side root pruning could be reduced by thinning the tree’s crown following the operation. Pruning more than one side of a tree in a given year will cause more stress and could leave the tree less stable. Trees will continue to be a very important part of most golf courses. Hopefully, this article has changed the way you look at trees and tree care programs at your golf course. It is important to remember that the passion reserved for trees does not have to be devoted entirely to new planting programs. Institute a new philosophy for trees that addresses maintenance needs equally with new planting programs. Develop a tree inventory and, if possible, add a tree specialist to your staff, or become more familiar with trees yourself to better develop and implement pruning and other maintenance programs. The existing trees will definitely benefit, as will new plantings, which will be made with more scrutiny Turf and trees can coexist nicely, especially if we do not allow blind affection to get in the way of reality.